Often, short story collections seem arbitrarily composed. They can feel tossed together in an ersatz attempt to be coherent while not adhering to an organising principle that makes them whole. Which says nothing about the quality of the stories in isolation, but is instead an observation of the lack of textual cohesion that plagues so many short-fiction collections. It is worth considering here why short stories are read in the first place, and by whom. Rather grandly, John Cheever believed short stories were read by ‘discerning and well-informed men and women who seem to feel that narrative fiction can contribute to our understanding of one another and the sometimes bewildering world around us.’ Narrative’s empathy function works best when a character experiences loss. Irish short story writer Claire Keegan believes loss is at the core of every good story. ‘If you asked a character, “if you could do that again, would you?”, the answer should be no.’ These ideas apply to isolated stories but do not seem applicable to most collections, which comprise disparate, already-published stories. This is not inherently the writer’s fault. Apart from literary journals (in print and online), the modern short story writer is starved for commercial avenues in Australia, and to make this even worse, the publishing houses, driven by market-prerogatives, have an aversion toward short fiction: it doesn’t sell. Even though the Digital Age has reduced our attention spans, the short story remains in disrepute. Gone are the days when Chekhov, F Scott Fitzgerald, or Flannery O’Connor wrote madly for newspapers, serials and magazines to feed themselves. Even then, they were meagre earnings. And yet the ongoing defeatist conversation in the Australian arts sector reminisces about a belle époque of independent wealth and societal regard that simply did not exist. Few writers made enough money to live among the comfortable echelons of society, even if they wrote about them. Fitzgerald, for instance, who was endlessly fascinated with the early twentieth-century American high life, had to borrow money from a relative to attend Princeton, and later in life, ravaged by alcoholism, published stories written by his wife Zelda under his name – desperate to protect the illusion of affluence. For many contemporary writers, the consequence of all this is that they quietly work away until they have enough stories, then publish them in a collection, stitching it together with whatever string they can find. 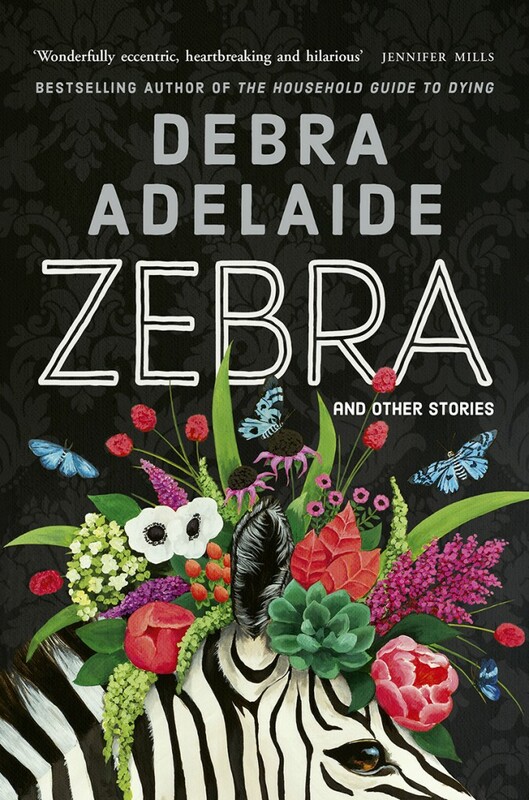 Arriving at an extremely interesting point in time for short fiction, Debra Adelaide’s collection Zebra and other stories (2019) is innovative in its order. It comprises thirteen short stories and one novella, ‘Zebra’, grouped according to first-, second- and third-person perspective. This experimentation with perspective is intriguing from a craft point-of-view, but also has a deeper function in representing loneliness and disappointment. These emotions accrue through each story until it culminates in ‘Zebra’, which ends the book. These stories observe characters imprisoned by invisible bars. Sometimes, they are their own prison-masters; others, merely prisoners. Her prose reminds readers of Thea Astley’s introspective, flesh-harnessed, comical energy, but perhaps more heady, slightly less metaphoric. Adelaide’s prose is crystalline, puncturing the secret interior of an individual’s life. This objective to express the mundane in extraordinary ways is, I feel, best realised in short fiction. What is expressed in Adelaide’s fiction is the misery and solitude of domestic life. Her novel The Household Guide to Dying (2008), for example, told the story of a terminally ill mother desperately preparing her final household guide for a husband, two daughters and a brood of chickens. This short story collection does not feel hurriedly stitched together because Adelaide’s writing is endlessly interconnected in its treatment of the domestic sphere. Across four novels, another short story collection, and her diverse editorial accolades, Adelaide has documented the experiences of urban solitude from the perspective of women. Readers may have an ‘aha!’ moment when they learn that Adelaide completed her PhD on Australian women’s literature in 1991, a tradition she has come to embody in the Sydney writing scene. Some of the stories in Zebra belong to a fantastical space a finger-stretch out of reality’s grasp. In ‘Dismembering’, a woman dreams of chopping up a dead body with her ex-husband, only to become convinced it really happened. ‘A Fine Day’ begins when a man asks his friend who works in surveillance to spy on his ex-partner, and uncovers a suicide pact. And in ‘Festive Food for the Whole Family’, the host of a Christmas party tries to keep up with the dietary requirements of ‘those fussy and inflexible eaters within the family’, all the while fantasising about serving them her husband’s unfaithful member. This disconnect between thought and action creates a sense of secret intimacy between the reader and writer, as though Adelaide has leant over and whispered the stories in your ear. The years after that will be punctuated by a series of patronising doctors who are always male, who will make you cry when you don’t want to, who will decide you are the nervy type, who will tell you that you have tension headache, stress headache, tension and stress, stress and tension, you need to learn to relax and this won’t happen, will reprimand you for your hefty doses of painkillers, hesitate to use the word migraine, as if saving that for the genuinely afflicted, not frauds such as you. Oftentimes, the prose charms the reader through a David Foster Wallace-style interior monologue that uses free-indirect style, such as the opening paragraph from ‘No Hot Drinks in the Ward’. By the end of the second day she decided there was perhaps no need to appear to be so pathetically grateful. She had been saying thank you an awful lot. We will come again in another hour. Thank you. Don’t hesitate to ask if you have any more questions. Thank you. Let the ward manager know if you need anything else. Thank you. You can sleep here in the pull-out bed. Thank you, thank you, thank you. This balance of fantastical and realism reaches its summit in ‘Zebra’, the titular novella that collects the emotional bricolage from the preceding stories and use their energy to reinforce its own. A fictive Australian prime minister’s longstanding feud with her neighbour, ‘a miserable, antagonistic, abusive balding man in a dirty orange baseball cap, obsessed with her property and violating it by stealth,’ takes an unforeseen turn when the PM accidentally adopts a zebra by responding to a seemingly fraudulent email. ‘A Mr Austin Beamish of a place called Lincolnville, Arizona, USA, was the owner of a private zoo that had lately fallen upon hard times . . . Consequently and regrettably Mr Beamish was obliged to relocate all his animals or risk confiscation by local authorities.’ Although the PM had initially rejected the emails, eventually a zebra showed up at her door. Her adoption of the zebra forces the neighbourly trench-warfare to a head. No longer will she tolerate the strange man’s amelioration of his garden by secretly moving the fence to encroach upon her yard. More significantly, however, in this many-layered novella, the zebra reveals to her the possibility of love with her personal assistant, Morgan. It is this paradoxical bind, between selfish love and duty, whether that duty by to politics or family or to yourself, that drives the reader’s pathos from the first story until the last word of ‘Zebra’. These stories remind us that nothing is guaranteed, that we cannot know the secret, sometimes bewildering hurt of those we live amongst. Jack Cameron Stanton is a writer and critic based in Newtown, Sydney. 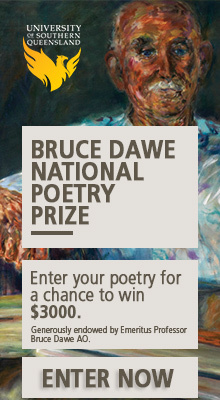 His work has appeared in Sydney Review of Books, The Australian, Southerly, Neighbourhood Paper and Voiceworks, among others.